We’re all about meal kits these days. A bounty of fresh, nutritious ingredients arrives right on our doorstep, we learn how to cook new creations without any stress or anxiety, and the flavors are enough to wow even the pickiest dinner companion. But there’s one thing that popular meal services today have yet to cover — snacks. And we love our snacks. Tons of snacks bars on supermarket shelves today are still loaded with added sugars and ingredients we can’t pronounce, but that doesn’t mean we don’t appreciate the true convenience of them when on the go (which we are, like, all the time). That’s also why we got so excited when we stumbled across NUTSÓLA . 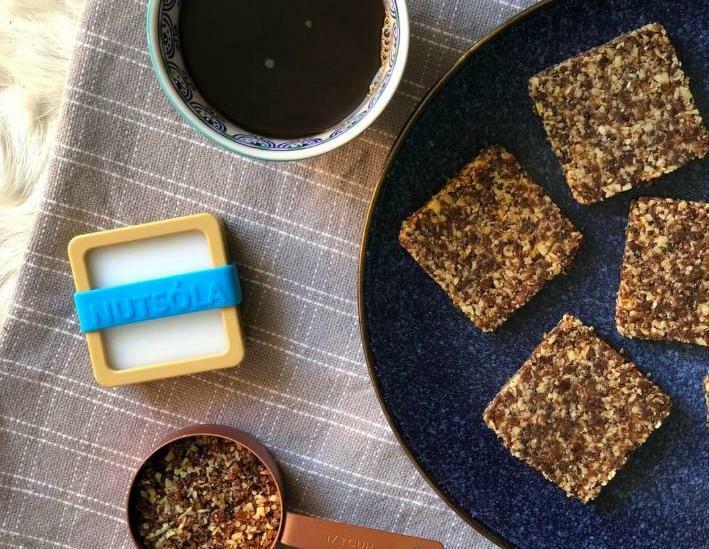 NUTSÓLA is the first do-it-yourself superfood bar kit to hit the market, allowing health-conscious eaters to make their own fresh, nutritious snack bars in their own kitchens. The bars are made with all-natural ingredients that come in a single, convenient bag. All you have to do is mix your preferred flavor with water, press the mixture into a mold, let it dehydrate and snack to your heart’s content. Currently, NUTSÓLA offers three bar flavors: vanilla almond, cacao almond and peanut butter. 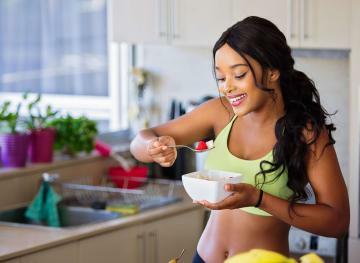 Each option is vegan, gluten-free, dairy-free, preservative-free and GMO-free, so they’re fitting for pretty much every dietary lifestyle (minus the folks out there who struggle with nut allergies). And the only sugar they contain comes from delicious dates. 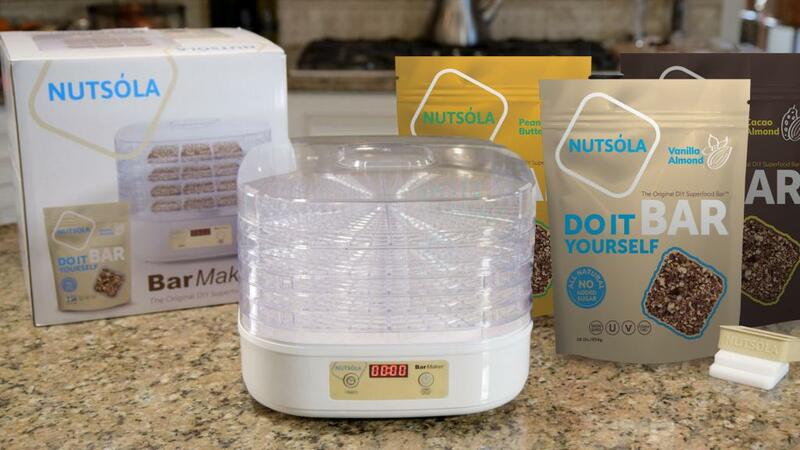 NUTSÓLA will begin shipping bar ingredients, molding kits, dehydrators and mats to its 100+ Kickstarter customers in April. 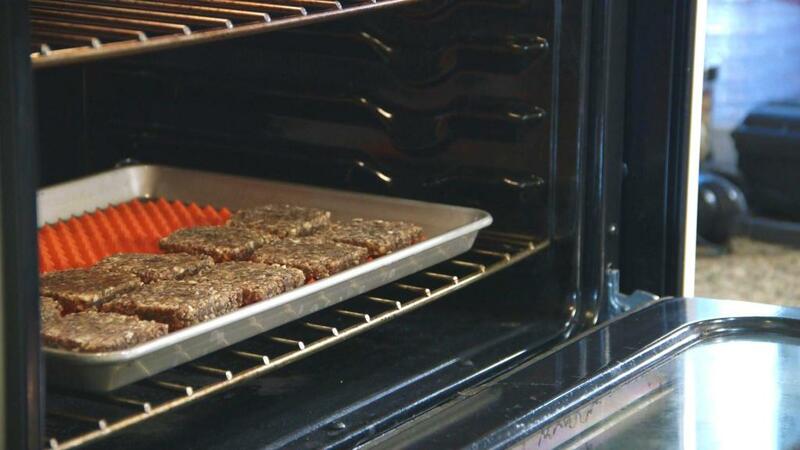 The company will then be using its initial $15,000 in earnings to fund the next stages of production like finalizing packaging, sourcing bar dehydrators and launching the full website so the rest of us can start making these tasty bars in our own kitchens. Mark your calendars, friends. You’re not going to want to wait long to snag a NUTSÓLA setup for your meal-prepping days.